Grawey Glass provides auto glass repairs and replacements through our trusted affiliate, the Windshield Specialists. For any piece of auto glass that has been chipped or cracked, we can inspect and correct the damage quickly and accurately. 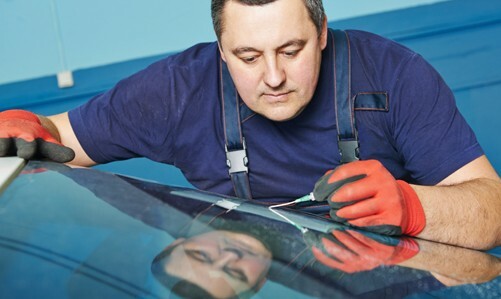 Our skilled auto glass repair technicians have an average of more than 30 years of experience. 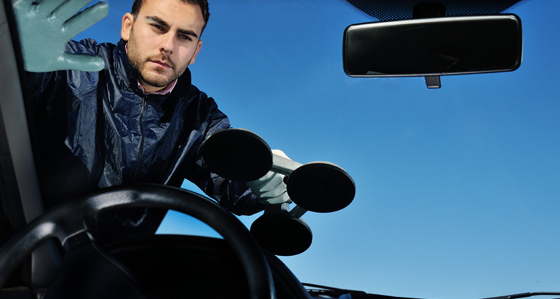 You can trust our workers will diagnose and repair your auto glass problem right away. For repair work, any chip or crack should be equal to or smaller than the width of a quarter and it must not be in the driver’s direct line of vision. Repairs may not be cosmetically perfect since they will be somewhat visible due to the nature of glass. We offer free mobile auto glass repair service within 40 miles from the Windshield Specialists locations in Peoria, Bloomington and Canton. Choose Grawey Glass and the Windshield Specialists Today! For your auto glass needs, don’t hesitate to call the oldest and most trusted glass company in the greater Peoria area. Whether you’re in Peoria, Canton, Morton, Pekin, Bloomington or any spot in between, we’ll provide you with top-notch repairs and replacements. Contact Grawey Glass today: 309-674-9129. Grawey Glass offers residential glass such as shower doors and mirrors in addition to commercial glass for items like storefronts, aluminum doors, and repair work. We can also help out with specialty glass items for those projects with more unique demands.